1. What’s the deal with the website Equifax has set up for consumers? Equifax has set up a website, equifaxsecurity2017.com, where consumers can check if they’ve been affected by the breach. Once on the site, click on the button “Potential Impact” at the bottom of the main page. You then need to click on “Check Potential Impact,” where you will be asked to provide your last name and the last six digits of your Social Security number — a request that was widely mocked on social media as being too intrusive when the standard request is for only the last four digits. 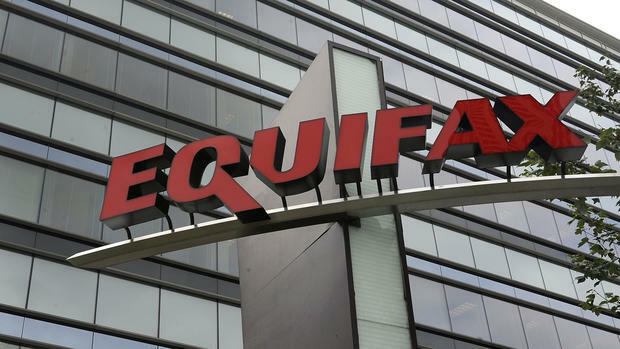 Equifax has stated that regardless of whether your information may have been affected, everyone has the option to sign up on the website for one free year of credit monitoring and identity theft protection. You can do so by clicking the “Enroll” button at the bottom of the screen. Note: Just clicking this button does not mean you’re actually enrolled, however. You must follow the instructions to go through an actual enrollment process with TrustedID Premier to officially enroll. · Fraud alerts: Your first step should be to establish fraud alerts with the three major credit reporting agencies. This will alert you if someone tries to apply for credit in your name. You can also set up fraud alerts for your credit and debit cards. · Credit freezes: A credit freeze will lock your credit files so that only companies you already do business with will have access to them. This means that if a thief shows up at a faraway bank and tries to apply for credit in your name using your address and Social Security number, the bank won’t be able to access your credit report. (However, a credit freeze won’t prevent a thief from making changes to your existing accounts.) Initially, consumers who tried to set up credit freezes with Equifax discovered they had to pay for it, but after a public thrashing Equifax announced that it would waive all fees for the next 30 days (starting September 12) for consumers who want to freeze their Equifax credit files.6Before freezing your credit reports, though, it’s wise to check them first. Also keep in mind that if you want to apply for credit with a new financial institution in the future, or you are opening a new bank account, applying for a job, renting an apartment, or buying insurance, you will need to unlock or “thaw” the credit freeze. · Credit reports: You can obtain a free copy of your credit report from each of the major credit agencies once every 12 months by requesting the reports at annualcreditreport.com or by calling toll-free 877-322-8228. Because the Equifax breach could have long-term consequences, it’s a good idea to start checking your report as part of your regular financial routine for the next few years. · Bank and credit card statements: Review your financial statements regularly and look for any transaction that seems amiss. Take advantage of any alert features so that you are notified when suspicious activity is detected. Your vigilance is an essential tool in fighting identity theft. It’s amazing that a major, multi-billion dollar business that handles so much of our personal, private information could have a data breach when they are fully aware that doing so would be costly and damaging to such a vast amount of people. The science of protection is incredibly important to stay ahead of. Vantage Capital Alliance has some amazing services that could be utilized to overcome some of these financial challenges. Credit Repair DIY Kit – Do the repair yourself and save. Call to order. Call 801-769-9443 to order. Debt Settlement (USCDR) – Reduce debt by 50 to 80% off original and Get the Negative Removed… Permanently! Eliminate the 7 years of bad luck having your debt show up as negatives on your credit reports, lowering scores and eliminating opportunities. Call 801-769-9443 for info. Ventury Capital – Business Credit & Funding – Small Business Startup Coaching – Small business is the Heart of America but tight banking policies have strangled the options that small business have to fund growth. Struggling with finding funding? Bentley Capital Ventures has resources and funding for small business include Real Estate Portfolio’s up to $80 billion in funding. For the novice and the pro. Call 801-769-9443 for more info.